This song, with modern neapolitan dialect, is enriched by the presence of two special guests: Corrado Ciervo as violinist and Domenico De Matteis as mandolinist. Anema Janca has been registered and mixed by Alessandro Zeoli at Red Sofa Lab and mastered by the Metropolis Recording Studio - Milano (Alessandro Marcantoni) based in Milan. A lot of talented artists and well known national and international works have been built in this studio as Premiata Forneria Marconi, Morgan, Bluvertigo, Fabrizio de Andrè, Depeche Mode and many more. The artwork has been realized by Angelo Santo and built up by Adolfo Calandro and Melazeta Graphic & Store. Athrox releases the new official videoclip of the song Fallen Apart, taken from the latest album Through the Mirror. Fallen Apart is a criticism of those who in history have always thought of their own interests and not those of humanity, establishing imaginary boundaries that limit the awareness that, after all, we all live on the same planet and there would never have been any need to make wars. which debut with the single My Life is Going on, cover of the opening song taken from the acclaimed TV series La Casa de Papel sung by Cecilia Krull. gates of the autumn 2019.
which will be out on March 29th, 2019. De La Muerte presents Heart of Stone, a cruel heartbreaking love story! After the critical acclaimed album A Portrait of Memories, the modern progster Walls of Babylon have decided to release their first unreleased album Dark Embrace, which will be released on the 15th march on all digital stores. Aether Void are ready to release their debut album Curse of Life out on march 29th. The sound of the band could be defined as melodic and powerful Hard'n'Heavy with influences from both classic and modern heavy metal, though it could not be easily compared to any specific band. an image proposal that refers to the Greek choirs of ancient tragedies. The Choir are: Laura Ginevra Tonarelli, Eva Marabotti Valentina Giuliani, Cassandra Gherardi, Giulia Aquino. 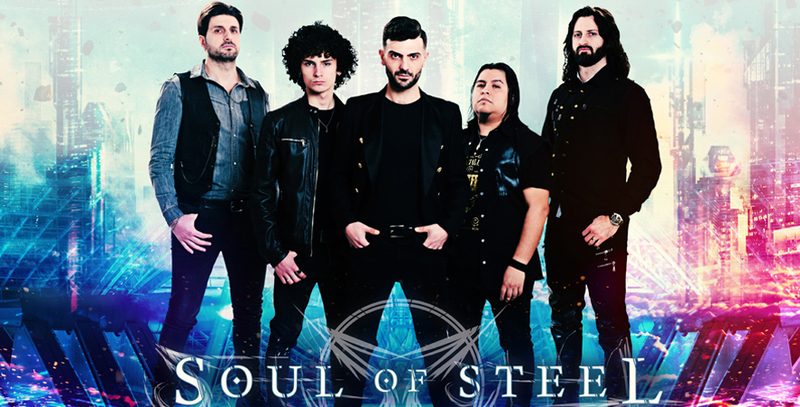 Carved shared now in streaming the first track Sons of Eagle, taken from the upcoming album Thanatos out on february 15th. Enjoy the first lyric video Mine Forever of the new Veil of Conspiracy album Me, Us and Them that will be released on February 8th. Onydia shared now the first Lyric video for their brand new single The Unknown taken from the upcoming album Reflections out on February 1st. Carved reveal the tracklist and preview of the new album Thanatos out on February 15th. Veil of Conspiracy reveal the tracklist and preview of the debut album Me, Us and Them out on February 8th.